Tippetac keeps track of your line, hands free until you are ready to cast again. Its integrated magnets also make it a great place to store a fly or can even hold your forceps. Reusable self-adhesive wrap. Perfect for using your FRS-9 with double and triple rigs. 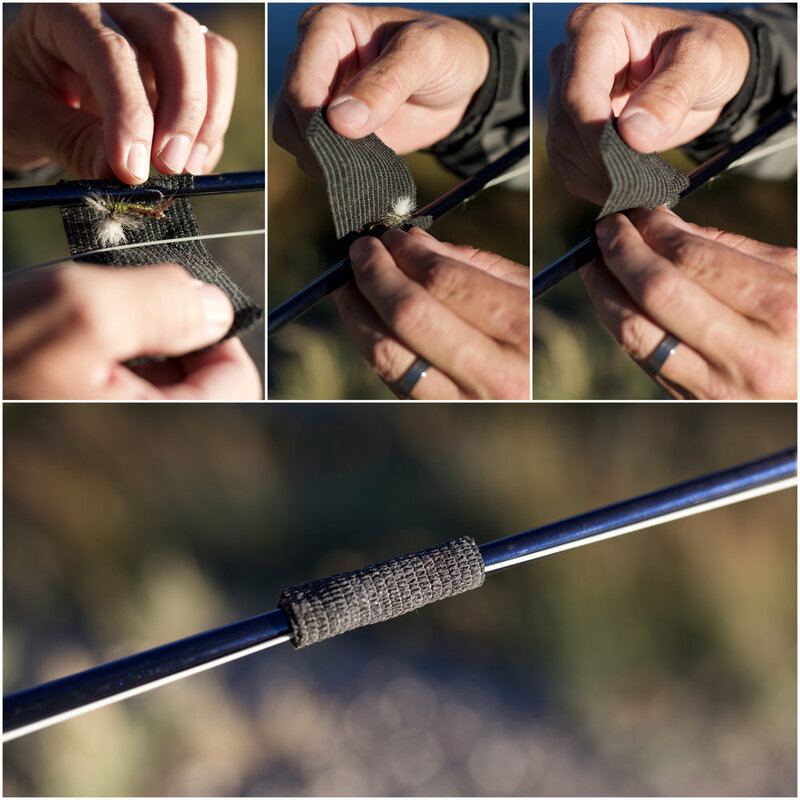 Insert your fully assembled, rigged 9-foot fly rod into the sleeve, zip the case, separate the middle ferrule, fold the rod in half and secure in place. Ready to transport in seconds. Combines comfort and quality - the front panel is 100% cotton and the back mesh has a 7-position adjustable snap closure.